Hasn’t 2016 already crept in to rock ecommerce with all new rhythm? It is the perfect time for online merchants to meditate over the past success or failure and strategize the new rules of attraction: rules of being attractive to customers. With refreshingly new trends coming in, ecommerce owners must shape the revamped structure of their ecommerce business around the new-age users. In 2016, there are certain unique trends that are shifting the gear of business, becoming the signature in relevant market. 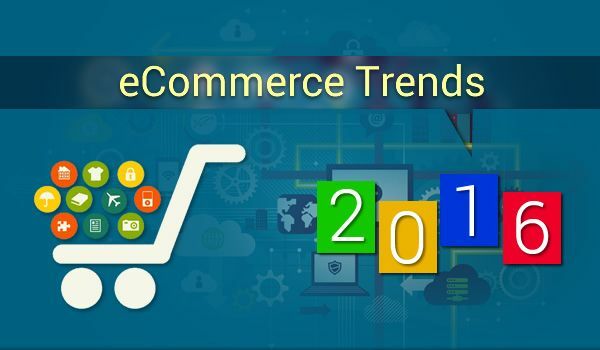 So let’s see what kind of trends 2016 is hiding in its ecommerce store. See Also - What are the obstacles that spoil the intuitive ecommerce UX? The world of ecommerce is getting competitive with introduction of technological advancement. This demands acceptance of innovative trends like multi-channel selling and multi-vendor website. For instance, customer often wants to check the product of interest on more than one online shop hosting it. They may go to Amazon to check the new brand of earphones that was launched recently. This is done because users want to explore the range of items from different vendors. Online merchants therefore prefer to opt for multi channel selling, knowing this can bring innumerable benefits. Images and videos are used not just to give customers a hint of what their product is about. Large images and videos covering the entire screen is becoming a signature trend especially for those merchants whose business is focused on specific niche – sports, fitness, accessories, art pieces, fashion wears, etc. Images can express the brand interest and elegant introduction of company’s makes. On the other hand, Videos designed to enlighten customers quickly explain the major points, which eventually works as a Call to Action for users. A touch from website design experts can enhance the look and feel of your main landing page containing images and/or video. Making strong connections with customer on social media platform is not the only aim merchants can fulfill now. Earlier, social channels were used to cause a stir among users upon the launch of new product. But now the situation is totally different. The powerful reach of socials has taken a new shape. Posts are no longer limited to just likes, comment and share. Twitter, Facebook and Instagram are some of the social media platforms that have announced they will support direct selling from their platform. Pop ups are all coming back as a revisited trend now. The year just gone by is a perfect example of how pop ups make for a business builder. Merchants are using small messages to convince customers to subscribe to newsletters in exchange for something free. If customers have already signed up, they will not see them again, or not as frequently. They do the best job of email marketing, pop ups, and when supported with effective message content, they can wonderfully fit into customer’s comfort zone, making them less irritated and more persuaded of your gentle marketing approach. The number of Mobile buyers is increasing in leaps and bounds, and with this, the online users of social media and dedicated mobile websites and applications. Mobile is helping business remain competitive. So making your website mobile friendly should be on top of the list along with other things-to-do. Responsive design expert will come to your rescue if you want to optimize your website for mobile experience. If you are thinking for E-commerce Ontwikkeling or E-commerce Ontwikkeling Specialist to a Magento ontwikkelaar. You should read the other articles written by the author for tips and tricks related to this.